More than 30 million people in the U.S. wear contact lenses each day, according to the U.S. Centers for Disease Control and Prevention. Whether they choose contact lenses for aesthetics or functionality, contact lens wearers benefit from the visual help these products provide. However, without the proper upkeep, contact lenses have the potential to cause serious health issues. In fact, the CDC reported that improper contact lens care leads to almost 1 million visits to health care centers, doctor’s offices and emergency rooms for keratitis annually. These preventable clinical visits result in a $174.9 million cost burden for the U.S. health care system. Keratitis, whether bacterial or viral, inflames the cornea, can potentially lead to partial or complete vision loss and most commonly affects contact lens wearers. There are nearly 1 million visits to health care professionals each year for keratitis. Schedule. The FDA said to adhere to the advised duration of wear for your brand of contacts. The Mayo Clinic went even further and recommended that contact wearers choose daily wear or disposable options. That way, you will put a fresh pair in your eyes each morning. Additionally, it is important to take out your contact lenses each night. 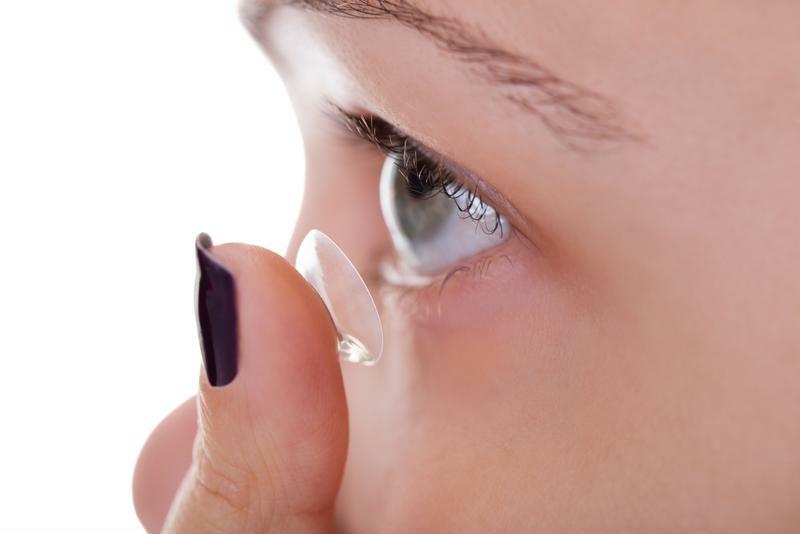 Dr. Jennifer Cope, an epidemiologist at the CDC, told the Washington Post that wearing contact lenses overnight will increase the likelihood of contracting keratitis by 20 times. Storage. You should change your contact lens case every three to six months. The Cleveland Clinic said if wearers stick to using the same case for too long, it will create a pathogen buildup. Solution. Make sure your contact lens solution is made for your specific brand of contact lenses, according to the Mayo Clinic. Dr. Reecha Kampani, a Cleveland Clinic optometrist, told the Post that contact wearers should store their lenses in a hydrogen peroxide-based contact solution because it effectively kills bacteria for four to six hours. Do not replace sterile saline solutions with multipurpose contact lens solution. However, each contact brand has different soaking instructions, so be sure to follow your directions. The Mayo Clinic said that it is common for people to top off old solution with fresh solution, which will not prevent the growth of bacteria. Be sure to fully discard used solution and refill your contact case with fresh solution each day. Water. Avoid getting your contact lenses in touch with any type of water: bottled, tap, fresh, etc. This also means that people with contact lenses should not wear them when showering or swimming in pools, lakes or oceans because water can contain bacteria that gets trapped behind contacts and causes infection. The University of Michigan Kellogg Eye Center said that symptoms of keratitis include: blurred vision, eye discharge, pain, sensitivity to light, redness and irritation. While these symptoms may not always be an indication of keratitis, it’s important to see a health care professional immediately, especially due to the severity of keratitis if left untreated. For a quick and easy visit, book an appointment via phone or online, or stop by a CareWell Urgent Care location.